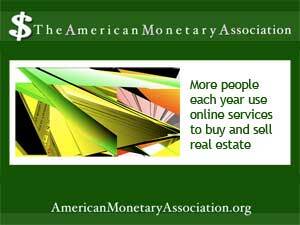 Can Online Home Buying Boost the Recovery? Time was, buying a house was a straightforward process, largely controlled by real estate professionals who had the listings and banks who had the say-so over financing. But the Internet has changed all that. Last year, over two thirds of home buyers in the annual Home Buyer Survey said they’d used social media in the process, and millions more take to the Net to connect with sellers, educate themselves – and take control of the process. According to the 2012 Survey, a majority of buyers had used sites such as Twitter of Facebook to find properties and real estate agents, or just to compare notes with other buyers. Social media tools let buyers and agents connect virtually instantly, and networks can help a buyer find the right property from a wide variety of sources. Gone are the days when listings were held by agents or brokers and parceled out to buyers based on their interests. With online search tools and niche sites such as auctions, buyers can search globally or locally, and arrange many of the details of the transaction themselves. From marketplaces like eBay and Craigslist to sites dedicated to overseas real estate or mountain cabins, anyone can find what they’re looking for. In the past, buying a home without setting foot in it was the biggest mistake a homebuyer could make. But that’s not the case any more. Whether produced by a professional real estate service or a simple home video camera and upload to YouTube, virtual tours let potential buyers view a home inside and out, from all angles, whether it’s across the globe or around the corner. Word of mouth used to spread news of bad experiences with sellers or service providers, but now dissatisfied tenants, buyers and sellers can let everyone know what they think about landlords, real estate professionals and sellers. EBay and other online marketplaces make it easy to rate buyers and sellers and post reviews, and dedicated sites like RateMyLandlord let people warn others away from bad experiences – or share news of good ones.